Does God's word in the Bible really condemn homosexuality?...... Top scholars--like the late John Boswell of Yale, Daniel Boyarin of Berkeley, Bernadette Brooten of Brandeis, L.William Countryman of the Church Divinity School of the Pacific in Berkeley, Victor P. Furnish of SMU, Saul M. Olyan of Brown and Robin Scruggs of Union Theological Seminary--show that those who perceive Bible passages as condemning homosexuality are being misled by faulty translation and poor interpretation...... Danial A. Helminiak, Ph.D. respected theologian, and Roman Catholic priest explain in a clear fashion the fascinating new insights of these scholars...... The Bible has been used to justify slavery, inquisitions, apartheid and the subjugation of women. 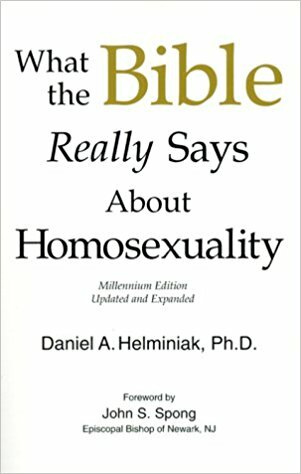 Now, in this book which has sold over 100 thousand copies, read what the Bible really says about homosexuality. I really enjoyed this book. It was very informative and had an easy flow about it. I also like how the author makes notes about each source in the end. I found myself not wanting to put this book down. 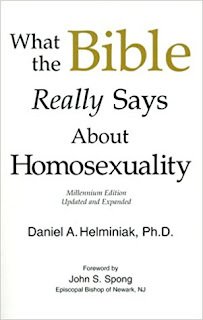 I recommend it to anyone that wants to know more about the Bible and its' views on homosexuality. Very good book!